Damping Off – is caused by pathogenic fungi living in the ground. There is at least five different fungi know to cause damping off. Working together or alone Rhizoctonia, Pythium, Cylindrocarpon, Fusarium, Phrtophthora, and even Alternaria, are the primary causes. These fungi can survive in the soil for years and years, through harsh winters and summers. They exist naturally in the soil and move by water runoff, equipment (tillers, seeds, hand tools etc.) and by human contact. These fungi lay dormant all winter long and become active, just around the time ginseng starts to sprout. 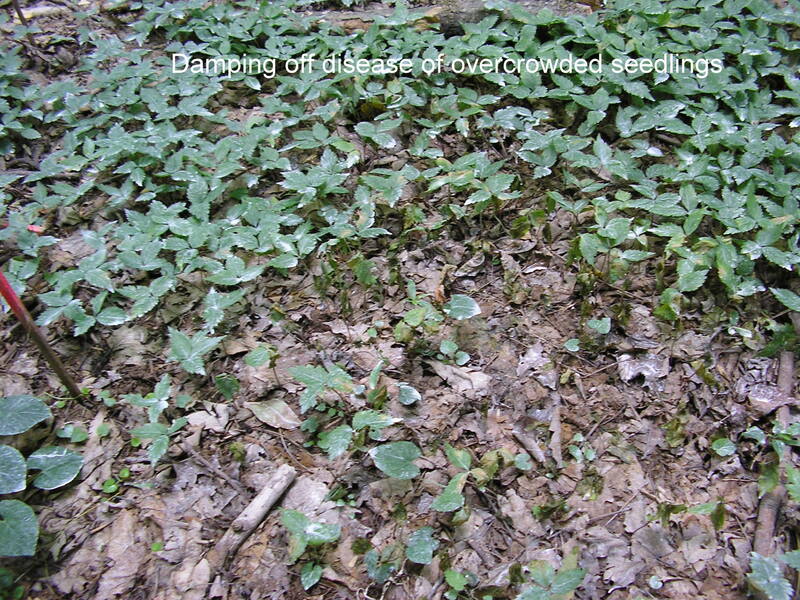 damping-off is a serious disease that attacks ginseng seeds and seedlings. If ginseng seeds were contaminated, it will first be noticed as bald patches in your planting beds. Most contaminated seeds will fail to even sprout. It is usually observed as scattered bare spots throughout your growing plots. These fungi prefer Cool, wet weather, weather that you usually see more of during the beginning of the growing season. 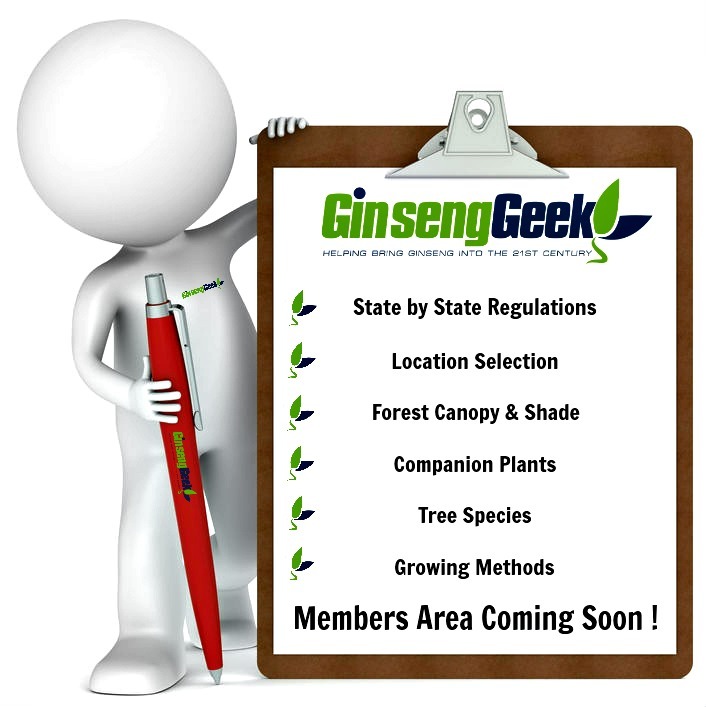 If the planting beds are not well drained, than your ginseng is at a greater risk. When the weather changes to dryer, warmer weather, signs will slow down but the fungi can survive until the conditions are right again. Heavy soils and low wet sites are more prone to damping-off. Planting seeds to deep can also make the seedlings more susceptible as the plants must develop longer stems. Depleting there energy levels making it harder to fight of the disease. Excessive seed rates that lead to overcrowding and poor air circulation will contribute to the disease also. damping-off is easily transmitted by root to root contact. Too much mulch can also aid the fungi by keeping the soil cool and wet longer than normal. The plants must develope longer stems thus making them weaker and more prone to damping-off.